Guild member Sue Dennis is one of fourteen textile artists invited to participate in Sightlines, an installation of artworks featuring a sightline linking all the artwork in the exhibit. Each artist chose her own themes and created five to eight artworks, including four 8x8" linking pieces, covering a ten foot wide space. 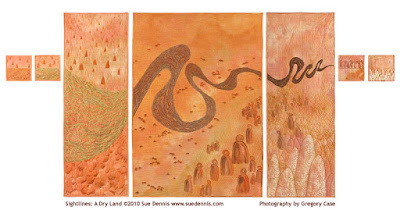 The Sightlines exhibition premiers at the International Quilt Festival in Houston this week and features Sue's work A Dry Land. 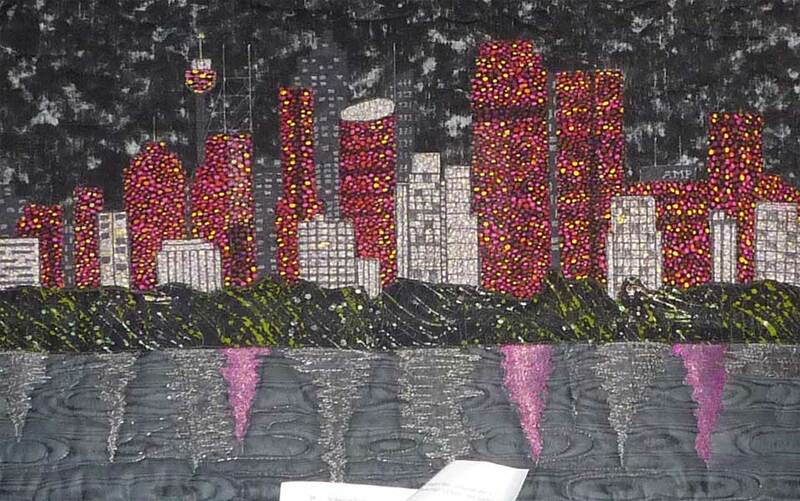 Fifty five Guild members rose to the 2010 challenge of incorporating a mystery fabric into a 60x40cm or 40x60cm quilt. You can view images of all of the entries in the online gallery. 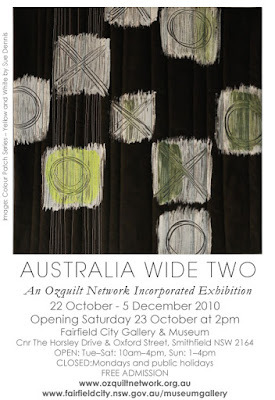 Australia Wide Two the next Ozquilt Network Inc. travelling exhibition of contemporary quilts will be launched at Fairfield City Museum and Gallery, 22 October to 5 December 2010. 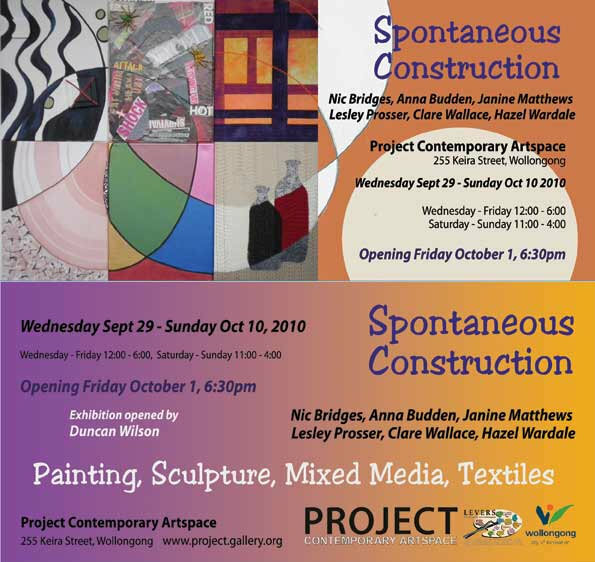 The official opening is this Saturday, 23 October 2010 at 2pm. Guild members whose work has been selected for this exhibition include: Anna Brown, Sue Dennis, Helen Gray, Kay Haerland, Alvena Hall, Judy Hooworth, Alison Muir, Kerrie-Anne Riles, Brenda Gael Smith, Carolyn Sullivan and Margaret Wallace. The exhibition also features work by the selectors Pamela Fitzsimons, Margery Goodall and Belinda von Mengersen. 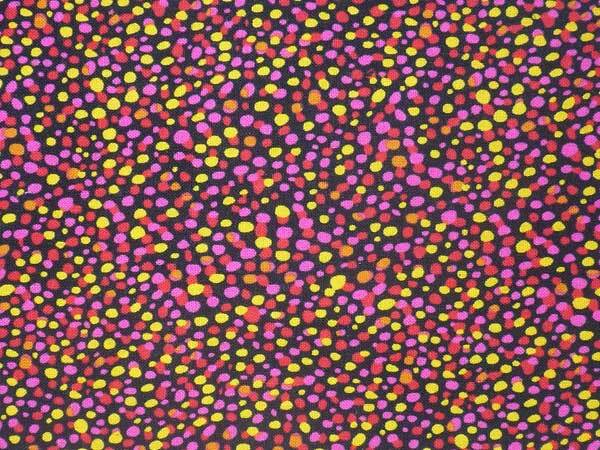 What could you do with this fabric? 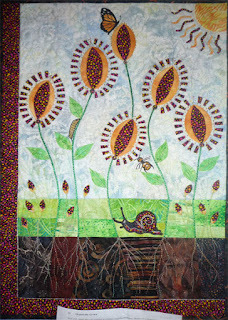 Fifty five Guild members rose to this creative challenge and entered into the Guild's 2010 challenge. The resulting quilts were on display for the first time at the Guild's annual general meeting today. 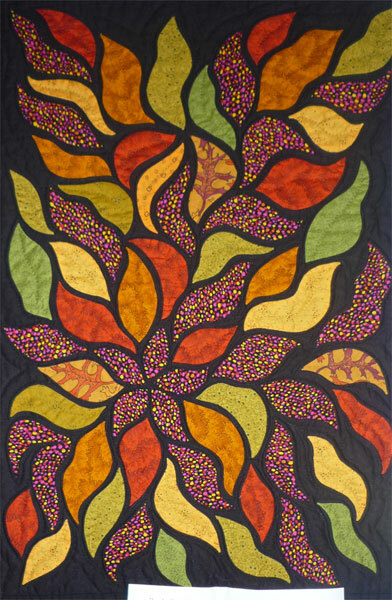 First prize was awarded to Amanda Daly for her quilt Organically Grown. Second prize went to Denise Coote for Sydney New Year. Val Duncan was awarded third prize for her cityscape. Heather Middleton received fourth prize for All Shagged Out. Judges commendations went to Heather Watts for Go with the Flow and new quiltmaker and Guild member Josh Bennett for Shake Your Tail Feather. And Guild members attending the AGM voted for Leaf Storm by Judy Day as Viewers' Choice. A big thank you to Country Pickin's at the Corner for coming to the party and providing prizes for the challenge. 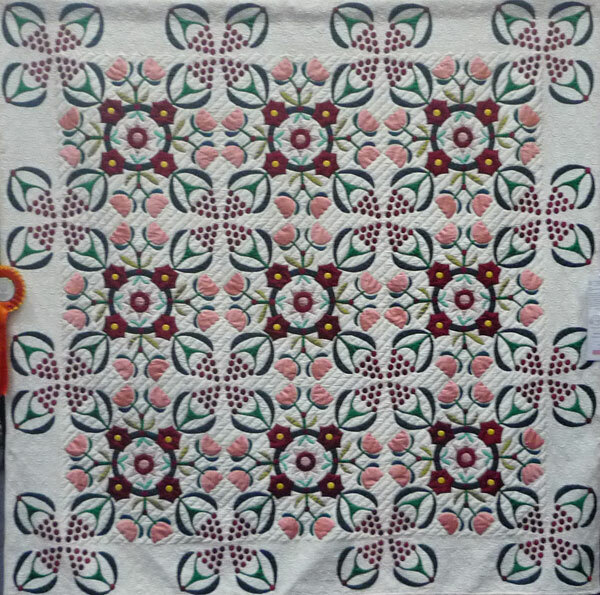 A slideshow gallery of all 55 quilt images will be posted soon. If your group is interested in becoming one of our Member Groups, please complete and return the Membership Application Form. If your group is already a current financial member of the Guild and would like to be added to this listing, please complete and return the Group Member Listing Consent Form to the Guild Office. 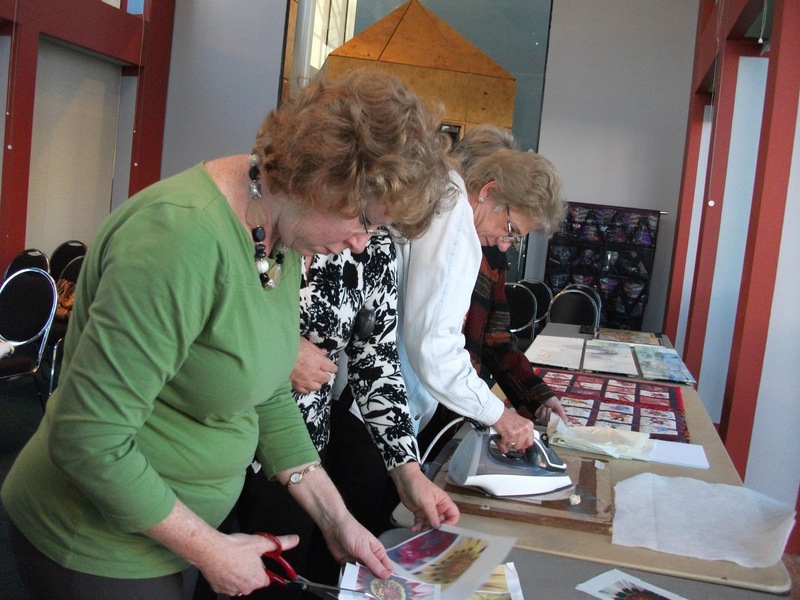 Services available to a Member Group include entry into the group category at the Sydney Quilt Show; access to our library resources; two members from a group may attend Guild workshops at the member's price; and receiving the quarterly newsletter The Template. 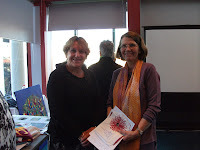 Irene Manion is passionate about fabric and stitch, and all the textile work she showed the Quilt Study Group of NSW at the Powerhouse Museum on August 14th exhibited her desire for perfection, a keen eye for design and her perseverance with detail that left me in awe. Irene is a Visual Arts Teacher and has been for the past 20 years. Nothing could be more wonderful for students than to have a practising artist for a teacher who continues to experiment and investigate new techniques in her textile art. We were certainly impressed with her array of technique swatches – some which worked and others that didn’t. In the 70s Irene experimented with batik designs trying to capture the landscapes in the Blue Mountains. This led her to develop a complex multi-layered dying and waxing techniques. 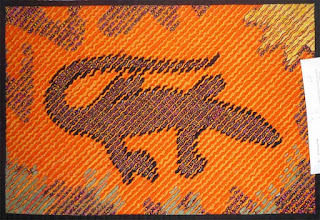 Examples of this early work were breathtaking and made it hard to believe that only batik techniques were used. The detail was wonderful. Over the last ten years, Irene has changed direction and is now using modern technology in her textile work. 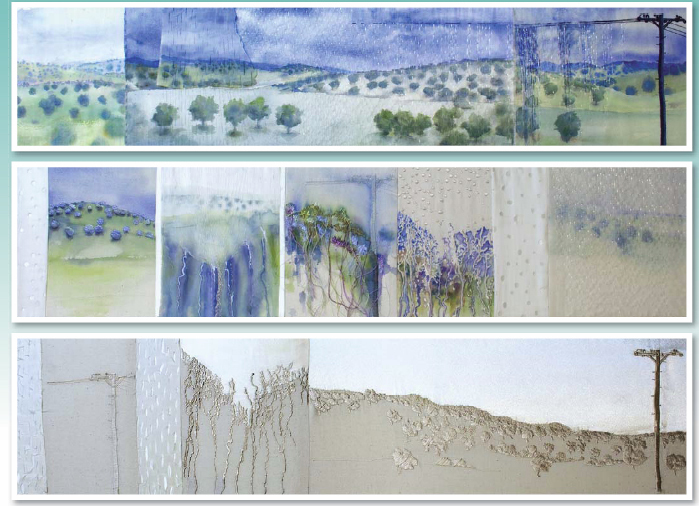 She incorporates dye sublimation prints of images she has developed from her own digital photos and drawings. These are modified in programs such as Photoshop and Illustrator. 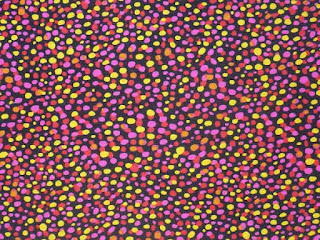 She then has these images commercially printed onto fabric and generously provided us with a list of suppliers should we decide to experiment in the same way. 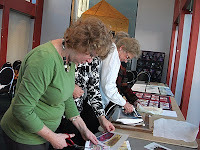 We even had an opportunity to transfer print one of Irene’s images onto fabric for future use. Some of us even managed to get three images onto fabric from one print. 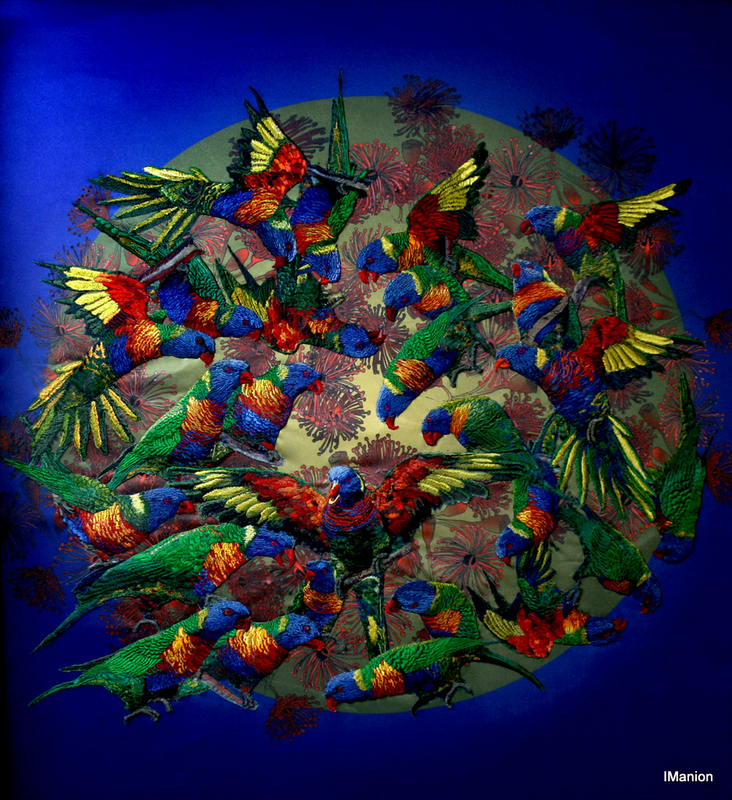 Once Irene has the image she wants, she uses computerised machine embroidery or free machine embroidery to enhance the digitally printed surface. She had many examples for us to look at but most impressive were the lorikeets, a beautiful wall hanging with birds in flight and at rest. Irene showed us a few of the printed fabrics which she rejected, again demonstrating her determination to get exactly what she wanted. Eventually the background fabric was ready with fewer birds than had initially been planned so additional 3D birds were added. These were embroidered, padded and backed before being added to the background. We were quite in awe as we appreciated the work and time investment for this. Irene very generously brought along her most recent work, which was part of “A Conversation with Rain” exhibition at Fairfield Art Gallery and Museum earlier in the year. Everyone spent at least some of their time examining this delightful work carefully. 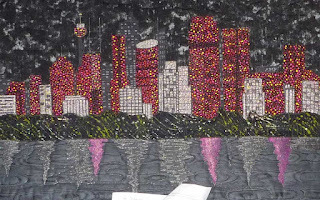 Fabric and stitch, it seems can come in all guises and Irene Manion has certainly mastered the use of modern technology in her textile art and inspired some quilt study groupers to expand their horizons. The annual general meeting for the Guild will be held at Burwood RSL at 1pm on Saturday 16 October 2010. In addition to the AGM formalities, there is the premiere exhibition of the 2010 Guild Challenge quilts (incorporating a feature fabric) where you can cast your vote; a demonstration at 11am by Lynn Hewitt and the opportunity to pick up something special from Country Pickin's at the Corner - a generous quilt show sponsor. 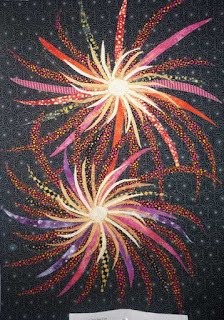 Congratulations to Guild members including Dianne Firth, Pamela Fitzsimons, Alison Muir and Carolyn Sullivan who each have a quilt juried into the prestigious contemporary quilt exhibition Quilt National 28 May - 5 September 2011. Spontaneous Construction, an exhibition of painting, sculpture, mixed media and textiles including work by Guild members Nic Bridges and Janine Matthews continues at Project Contemporary Artspace in Wollongong until Sunday, 10 October 2010. Opening times: Friday and Saturday 10.00 a.m. to 4.00 p.m. Featuring Members’ quilts and a special display of selected quilts of the late Narelle Grieve. Also members’ Craft stall, Raffle quilts and local patchwork shops. Refreshments. Image: Legacy by Narelle Grieve and Maree Gebhardt. 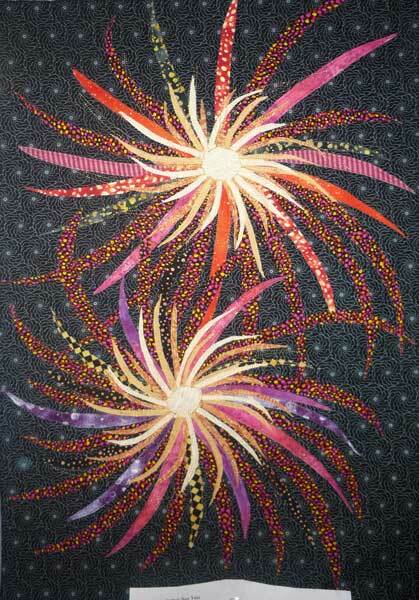 Retaining the Tradition Award, Sydney Quilt Show 2010. This afternoon workshop with Alan R Tremain is FREE to all financial Guild members. This workshop will look at the practical implementation of Conservation and Restoration techniques for domestic textiles. Participants will need to bring along a quilt, quilt top or other textile to work on or be advised upon plus general sewing notions. Each participant should make direct contact with the tutor prior to the event in case specific work tools are required. The tutor will have available conservation items for purchase by participants. To reserve a place in this workshop please contact Karen Fail or the Guild office. 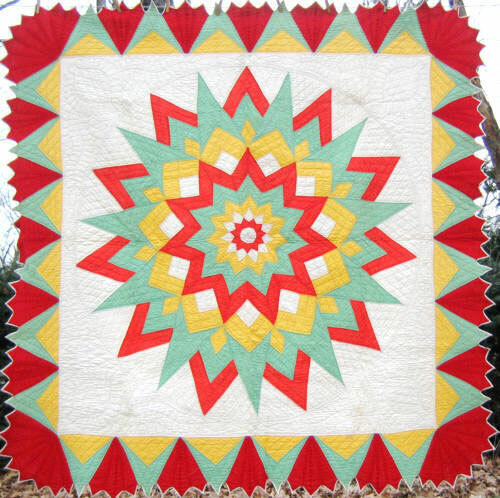 "Novocastrian Quilters Inc present "Quilt Me a Rainbow"
Hand made gift stall, challenge & school quilt displays.